From sailing to to fishing to paddling to kiteboarding, the waters off Prince Edward Island offer many choices. PEI's easternmost region Points East Coastal Drive is all about natural spaces and outdoor activities. The region's economy is based on fishing, farming, and forestry, as well as tourism. The Orwell Corner Historic Village offers visitors a trip to the 1800's in which they can visit the village store and house, farm, church, school and community hall. Nearby, the Sir Andrew Macphail Homestead displays heritage living and a Natural History Centre teaches about PEI nature. 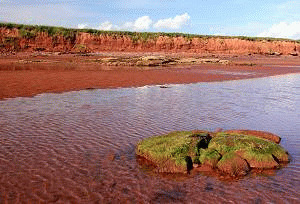 The natural features of the rest of the Points East Coastal Drive are also appealing, with their red cliffs, white sands, ocean, and forests. The ocean has hosted sailing ships and fishing boats over the years, and travelers can visit four lighthouses during the summer. The Point Prim Lighthouse, PEI's oldest, was built in 1845. Wood Islands and Cape Bear Lighthouses were approved in 1873. Panmure Island Lighthouse (1853) is near a provincial park with beaches and campgrounds. Camping is also available at Campbells Cove, Red Point, St. Peters Park, and more. There are several supervised beaches in the area that are good for swimming. Anglers are attracted to North Lake is known as "The Bluefin Tuna Capital of the World". Seal watching tours and golf are available at Murray River. Tidal Surge Long Term Bay Fortune 853 Fortune Wharf Rd. N.
Morning Tide Long Term Belle River Big Point Rd.